Seabob Rescue is a special purpose, man-portable water rescue craft capable of high-speed surface and underwater retrievals. 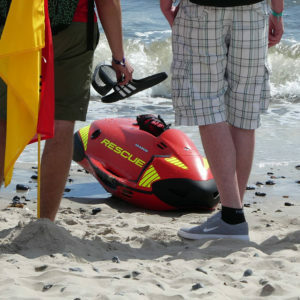 Slightly larger than the old-fashioned lifeguard rescue can, Seabob Rescue’s superior speed, agility, and endurance provide an excellent one-man tool in the mid-range aquatic distances and heavy surf conditions. 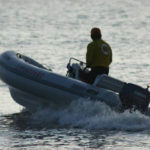 It is the Lifesaver’s watercraft. 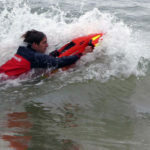 In a water rescue situation, a single rescuer can carry a Seabob Rescue craft into the water, press the electric start and be one his or her way to the victim with all the safety and power of water electro-jet propulsion. 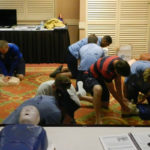 An average rescue swimmer won’t have the same closing speed to the victim as a Seabob Rescue equipped emergency responder. 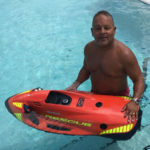 Seabob Rescue makes the fastest swimmer obsolete. In a common single person rescue, the rescuer just needs to get Seabob Rescue into the water and start. There are no lines to cast-off or boat to launch. 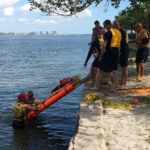 Unlike an inflatable rescue boat or rigid emergency craft, Seabob Rescue maintains a low center of gravity once employed. 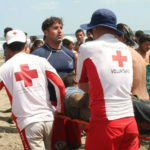 There is no fear of capsizing the lifesaving boat in the surf while the rescuers maneuver into position. 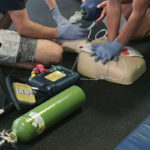 Seabob Rescue takes a single rescuer straight to the victim for faster contact, which saves time and greatly increases the chance for victim survival.